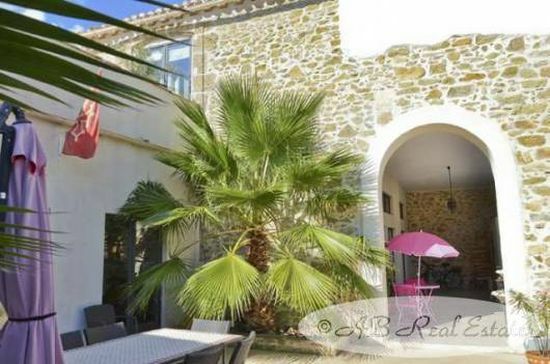 living space 330 m², entirely and tastefully renovated, 6 bedrooms with shower rooms, heated indoor pool, Jacuzzi, terraces, garage, very private and calm, just a few steps to amenities, the perfect place for a B&B! A very comfortable property of a standard that is rare to be found in a single house. It benefits from a perfect location without direct neighbours, very quiet - just a few steps to amenities and close to two lively towns in this very popular region sought out by tourists all year round. This character property with its authentic charm is a haven of peace and calm! Excellent Commercial Potential!